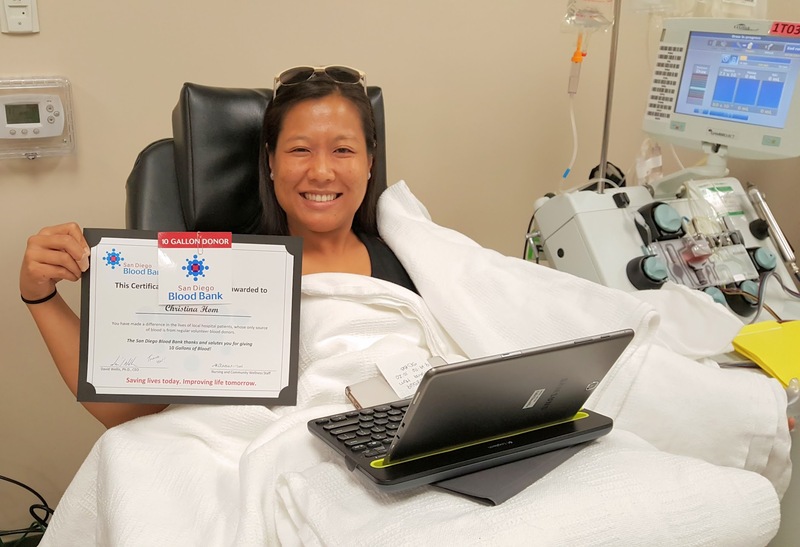 One of our most popular features on our San Diego Blood Bank Facebook page is our Gallon Donor Recognition. Each time a donor reaches a new five-gallon milestone, they are presented with a certificate of achievement and removable sticker. 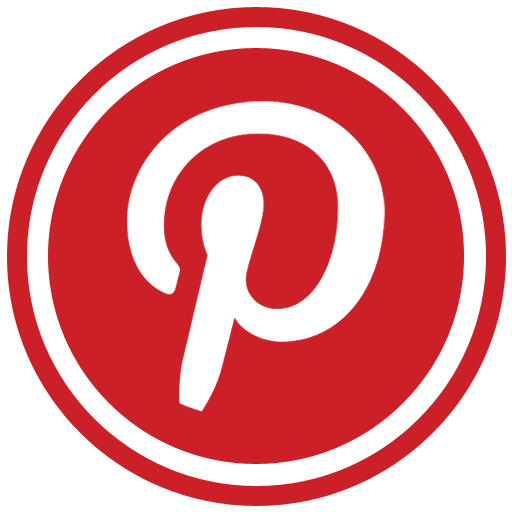 We then take a photo of our Gallon Donor and share it throughout our social networks. 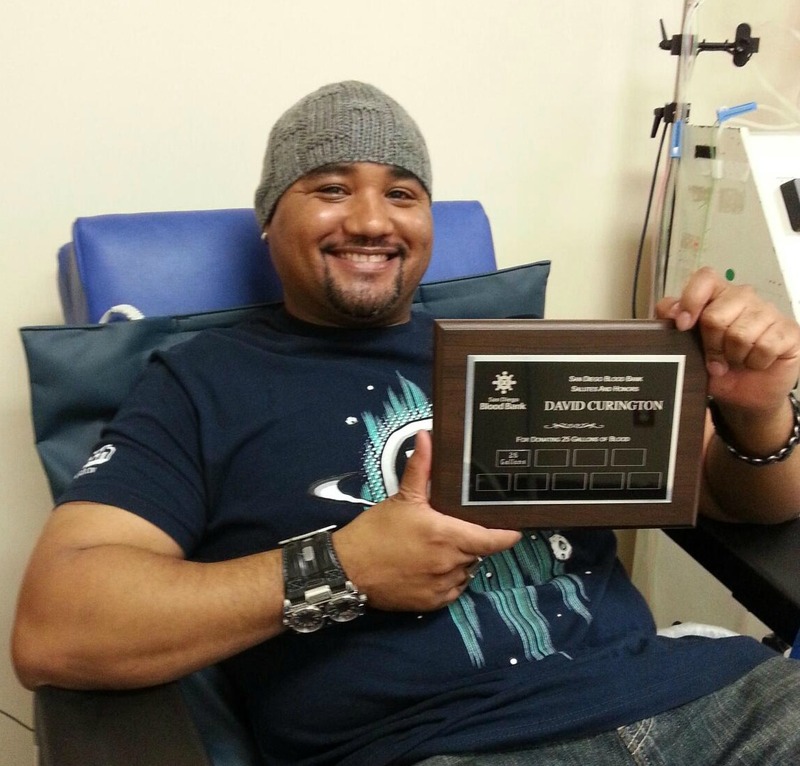 We love sharing photos of Gallon Donors because their dedication to saving lives is worth boasting about. Sharing their achievements also makes for something our community of donors and supporters can talk about. 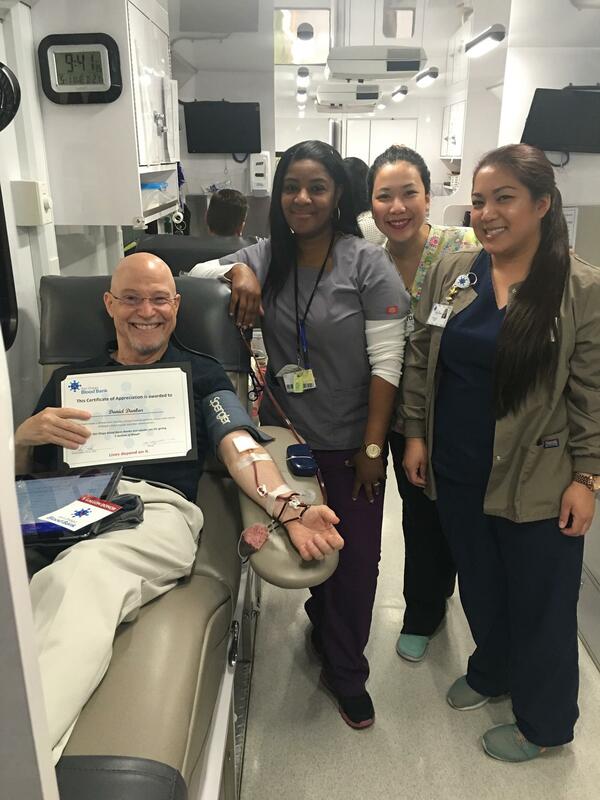 Recognizing the achievements of our Gallon Donors makes us unique as a blood bank. When others share our mission of saving lives, we thank them publicly. 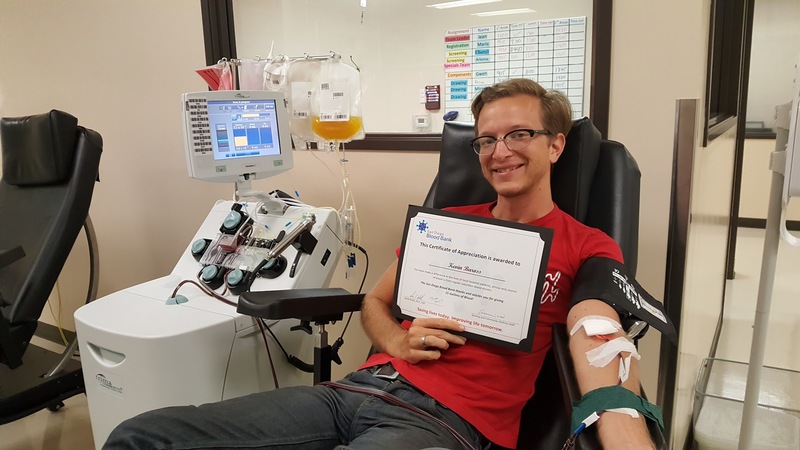 When you go through the comments our Gallon Donor photos receive, you’ll see lots of kudos and become inspired to roll up a sleeve to help too. If you have never donated blood before, look to our Gallon Donors for encouragement. They have been steadfast in donating blood since they gave their first pint. Take for example Stephen McMeeken. 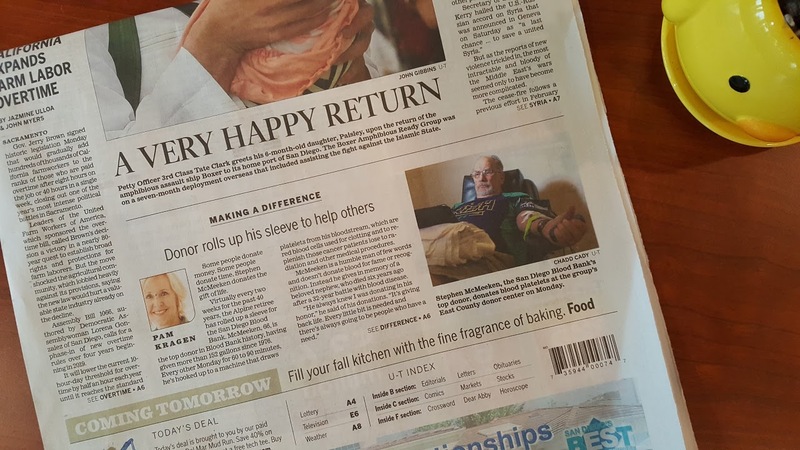 Stephen recently reached 142 gallons of blood and made the front page of the San Diego Union Tribune! 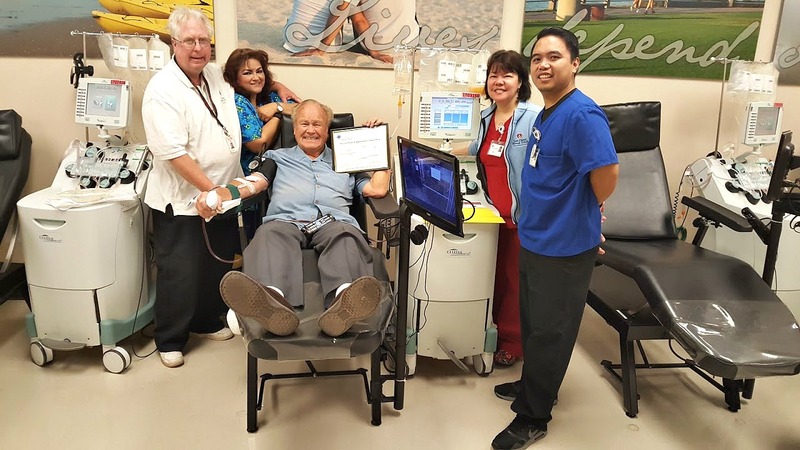 He started to donate blood because he saw a personal need for it. While his dedication to saving lives is something we can all admire, each of us has a reason to give. There is no substitute for blood. 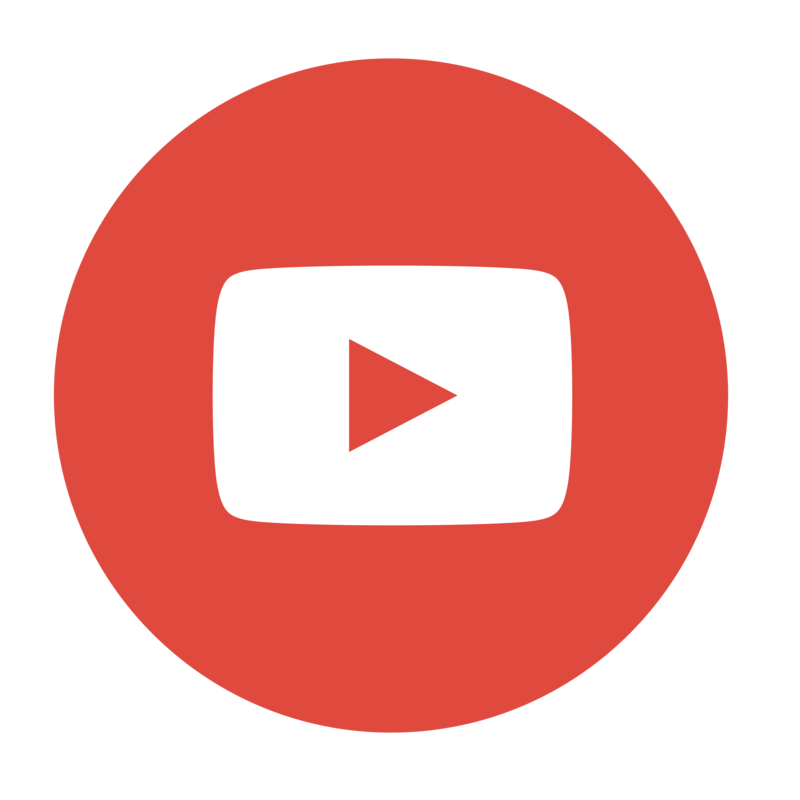 By doing our part, we're doing something essential for others in need. The idea of donating blood can be scary if you have never given before. Once you get past your first donation, you know you can do it again. You become a Gallon Donor over time, so little by little, you can reach a new milestone and save more lives too. If you have donated blood before, we encourage you to continue doing so. The more consistent we can be as blood donors, the more reliable blood supplies can be for hospital patients. Take a look at some of our Gallon Donor photos. All blood donors can achieve the same milestones—all you have to do is start or keep donating blood! To make your first appointment to donate blood, see how much you’ve given so far, or when you’re eligible to donate blood again, log on to MySDBB.org. If you’re going to reach a new gallon milestone, making an appointment, and at least 3 days in advance, gives us time to coordinate your congratulatory items. 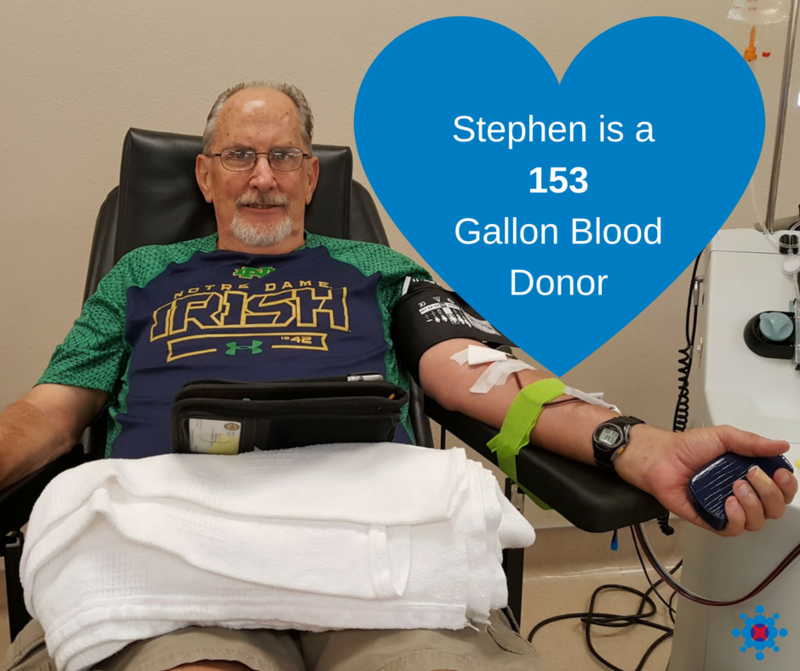 See more photos of our Gallon Donors on our Facebook page.